PRP therapy is an effective treatment. Surgeons have been using it in the operating room for years to help bone grafts heal quicker. PRP is even used for HAIR LOSS TREATMENT. PRP involves using the patient’s own blood to rejuvenate the skin. To be more specific, certain components of the blood (platelets and other blood proteins) are used for this purpose. Platelets are used by the body to activate wound healing and tissue regeneration. Elite athletes have been using PRP for years to keep themselves in the game and regenerating their injured knees, ankles, shoulders back and elbows. Platelets also stimulate the production of collagen which is what deteriorates in skin as we age, thus causing wrinkles, thin skin and pigment changes. By jumpstarting stalled collagen production a person can turn-back-the-clock and enjoy a much improved, natural-looking, youthful appearance. When you decide to consult Dr. Anderson to see if PRP therapy is for you, Dr. Anderson will give you a thorough health assessment. A skin analysis will be performed and a recommendation given regarding treatment and expected outcomes. Pre-treatment photographs of your treatment areas will be taken. The entire procedure will take place in Dr. Anderson’s clinic. Prior to PRP being administered, your skin will be thoroughly cleansed and preparations for the procedure will begin. A local anesthetic cream will be placed on the face. It is important to note that PRP therapy isn’t considered to be a painful procedure. Blood is drawn from your arm. This is the same as if you were getting blood taken at a lab. Our staff is great and your blood needed for PRP takes only a few minutes. The test tube where your blood is placed has sterile compounds ordered from the anti-aging Swiss company known for quality and medical technology. 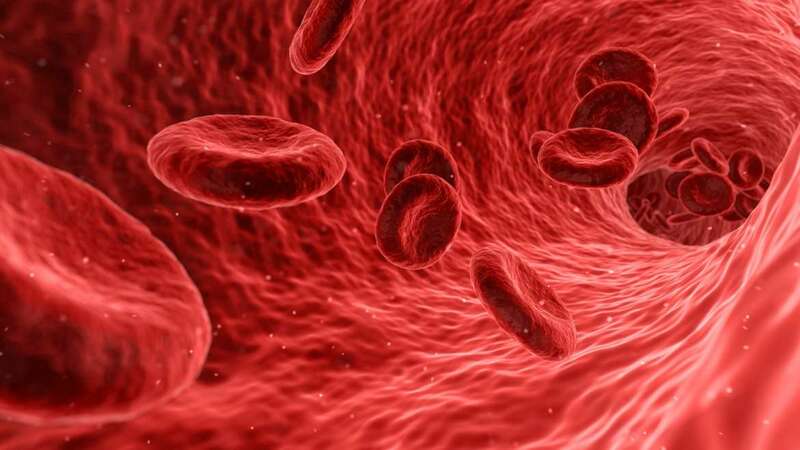 The contents are processed and are spun at RPM researched technology to concentrate the healing power of platelet rich plasma (PRP) containing the growth factors and stem cells. THE PLATELET RICH PLASMA CONTAINING GROWTH FACTORS AND STEM CELLS ARE CONCENTRATED 6X NORMAL PER THE SWISS EXTRACTION METHOD DR. ANDERSON USES. SEVERAL REPUTABLE RESEARCH JOURNALS PERFORMED HEAD-TO-HEAD STUDIES ON EQUIPMENT, SEPARATION SOLUTIONS. OTHER METHODS ONLY CONCENTRATED THE PLASMA 2X. You determine in your consultation with Dr. Anderson the best places to treat. One advantage regarding PRP treatment is the minimal side effects a patient experiences after the treatment. This is a main reason why both Dr. Anderson, both personally and professionally, and her patients are attracted to this treatment. It is common for the injection site to turn red and warm with mild inflammation. This means the PRP is working! All the healing factors and stem cells have traveled to the site and are telling the body to get to work, repair the “injury”, make new tissues. DO NOT TAKE IBUPROFEN, MOTRIN, ALLEVE, NAPROXEN or THOSE TYPES OF MEDICATIONS FOR 3 DAYS! YOU WILL STOP THE MIGRATION OF THE HEALING CASCADE TO THE INJECTION SITE TO BUILD COLLAGEN. YOU CAN TAKE TYLENOL. If you are on aspirin, other medications, please take them. Individuals may experience a small amount of bruising and swelling which may last 2- 5 days at the location of the needle site. Bruising time may vary due to area of injection, thinning of collagen, medications, and previous scar tissue in area. Dr. Anderson advises no important events, such as family pictures, scheduled for the week just in case. You will want to avoid rubbing your eyes for a day or two if the dark circles were injected with PRP as Filler Fibrin Matrix or had PRP with DermaPen MicroNeedling to avoid irritating area. No chance of migration of synthetic substances into arteries, blindness, disfigurement if you rub your eyes which is a risk with Fillers! Patients will improvement in their skin after about three weeks. However, even after that time, they will see additional and gradual improvements. The tone of the skin should show some improvement as should the texture. Results from PRP therapy start to show a healthy change in facial glow after 1-2 weeks. Additionally you should see gradual improvement over time. It takes a few weeks before the growth factors injected into the face are stimulated and the skin’s collagen begins to regenerate. However, once both do, the results are a more youthful, natural looking appearance. The skin’s epidermis (top) and dermis (bottom) become thicker and less likely to injure when older. The entire process is safer because Dr Anderson is using your body’s natural ability to heal. PRP increases collagen production, decreases pigment irregularity, decreases or eliminates dark circles, fills in wrinkles by producing collagen and increases blood supply. This makes healthier tissue from the inside out. Many people who opt to undergo PRP therapy may require between two and three treatments. The results from a PRP procedure have a longer lasting effect. Individuals interested in getting multiple injections can do so safely and as often as needed.